Professor of Geology, University of Bristol, U.K. The causes of volcanism and the dynamics of volcanic eruptions are explained with some implications for society. 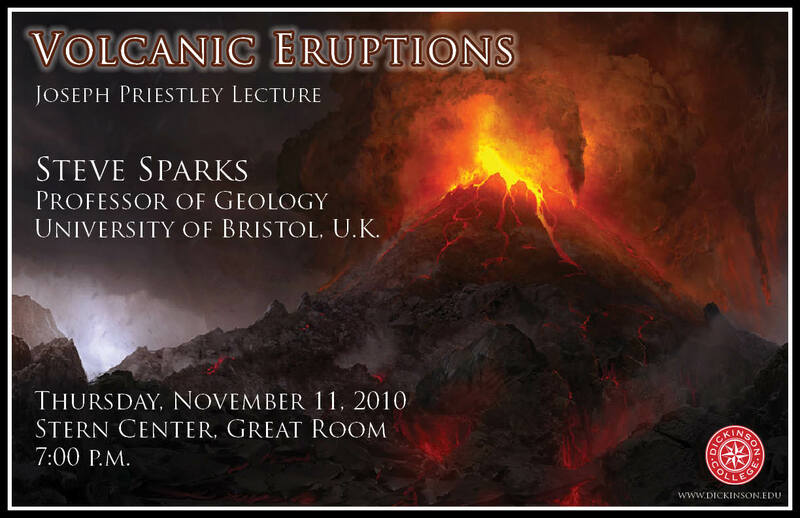 Sparks is research group leader of the Volcanology and Geological Fluid Dynamics Research Group in the Department of Earth Sciences at University of Bristol, United Kingdom. The Group currently consists of six members of academic staff, 8 post-doctoral researchers and 12 Ph.D. students. He is also the director of the newly established Bristol Environmental Risk Research Centre (BRISK), which seeks to nurture interdisciplinary research across the University in risk and uncertainty science. His research interests include how magma chambers form, how volcanoes erupt, kimberlite geology, the movement of sediment gravity flows, assessment of volcanic hazards, the development of new methods to quantify risk and uncertainty in the assessment of natural hazards, and risk perception in relation to natural hazards and disasters. Sparks is a recipient of a European Research Council Advanced Grant of 2.5 million euros from January 2009 for 5 years. This project seeks to understand how magma chambers form. This research builds on his studies of active andesite volcanoes using geological, geophysical and petrological approaches and integrating the results of field observations, numerical models and analogue experiments. His field research includes studies on the andesite and dacite volcanoes, including the Soufrière Hills Volcano (Montserrat), Lascar Volcano (Chile), Uturuncu (Bolivia), and research on the geology and petrology of kimberlites. He leads the international project VOGRIPA, which is developing a global database of volcanic hazards and risk. Sparks is currently a member of the board of the British Geological Survey, the Science Board of the Earth Observatory of Singapore, the Science Advisory Panel of the Istituto Nationale Geofisica e Volcanologia (Italy), the science R & D advisory panel for the Nuclear Decommissioning Agency (UK), and on an international science group advising the Japanese Nuclear waste Management Organisation (NUMO) on natural hazards assessment for rad waste repositories. 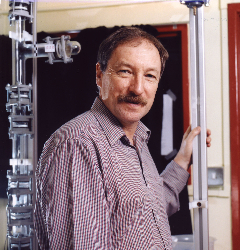 Sparks was chair of the Panel for Earth Systems and Environmental Science that assessed research in UK Universities in 2008. Volcanoes are caused by the melting within the Earth. Contrary to popular belief melting results from either the pressure decrease as the hot solid interior of the earth rises towards the earth’s surface or the sinking of wet rocks on the sea floor back into the earth’s interior where the water reduces the melting point of the earth’s mantle. The great convection currents in the earth’s mantle and the associated movement of tectonic plates are the fundamental cause of conditions that allows melting to occur. The mixture of molten rock and suspended crystals rises to the earth’s surface and erupts. In this journey from depths of 100 km or more many changes happen so that the magma reaching the earth’s surface can be very different to the melt that first forms. Of particular importance to the eruptive process is the small amounts of volcanic gas (water, carbon dioxide and sulphur dioxide) dissolved in the magma under great pressure. These gases separate from the magma near the earth’s surface and expand by over 1,000 times, often causing violent explosions. Understanding volcanoes is a major goal of earth science both because they are a fundamental feature of the earth and because eruptions threaten life and property in societies that live near them. Ultimately the formation of continents, the oceans, the atmosphere and perhaps even life are the consequence of a volcanically active earth. In an increasingly populated world volcanoes are going to provide a significant threat as populations and megacities expand around many active volcanoes and the sky becomes crowded with airlines passing over dangerous volcanoes. The recent activity of the Soufriere Hills Volcano on Montserrat provides an example of an island society whose survival was threatened by a major eruption. The eruption provides a good example of a modern investigation of an eruption which has led to significant advances in understanding. The eruption involved the growth of a mound of very viscous lava called andesite which repeatedly became unstable and generated avalanches of hot lava debris known as pyroclastic flows as well as many violent explosions. Monitoring of the volcano led to the recognition of remarkable cyclic patterns of behaviour and to new theories on how the parameters that are monitored in an eruption are related to the fundamental dynamics of eruption. The deformation of the ground and earthquakes can be related to the development of very high anomalous pressures in the volcanic conduit feeding the extrusion of lava. The pressurisation is caused by the loss of volcanic gases which causes the magma to solidify and strengthen, inhibiting the easy escape of gas. New computer models of this process indicate that volcanoes are highly non-linear systems in which cyclic patterns of activity and sudden changes of the intensity of eruption can be expected. These discoveries may not make forecasting any easier since such non-linear systems can sometimes be inherently unpredictable. However these advances will improve the ability of scientists to assess risks, evaluate uncertainties and to give advice to authorities and populations faced with volcanic emergencies.